Guy Smith-Ferrier is an author, developer, trainer, and speaker with more than 20 years of software engineering experience. 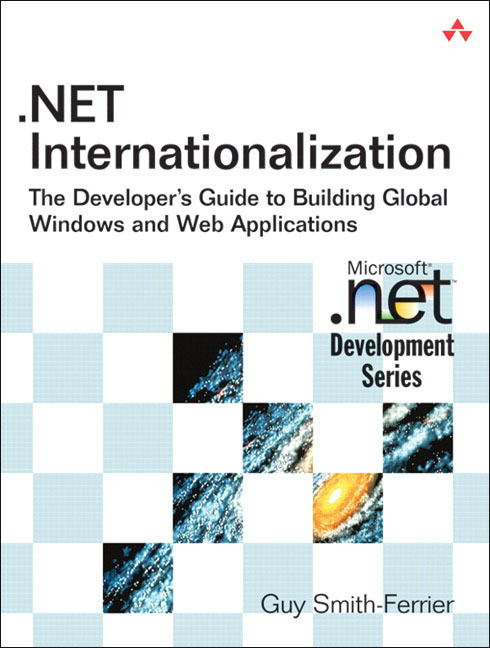 He has internationalized applications in four development platforms, including the .NET Framework. He has spoken at numerous conferences on three continents and been voted Best Speaker twice. He is the author of C#/.NET courseware and the official Borland courseware for COM and ADO. He has written articles for numerous magazines, has co-authored an application development book, and is the author of the ADO chapter of Mastering Delphi6 (Sybex, 2001). He lives in the U.K. with his wife and two children. His blog is at http://www.guysmithferrier.com.